Staying healthy can be tough in the best of times, and when money is tight, health concerns can fall by the wayside. But money woes don't just make it harder to pay for prescriptions and doctors' visits -- they can also make you more susceptible to a host of health problems. Earlier this week, The Doctors, a syndicated health care talk show, explored the ways that the rising cost of living can affect health. 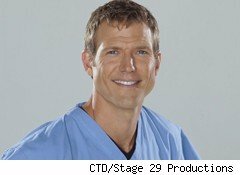 Dr. Travis Stork, one of the stars of the show, talked to Daily Finance about the high cost of staying healthy, and offered a few tips for saving money while still taking care of yourself. With unemployment high and inflation-adjusted wages at their lowest level in years, many people are having to choose between taking care of the household budget and taking care of themselves. Whether it's a matter of letting a prescription lapse, canceling a gym membership, or eating cheaper food, cutting back on health care can have terrible consequences. In his work as an emergency room doctor, Stork has seen many people who strike this dangerous bargain. "I talked to one guy whose record showed that he had high blood pressure. I asked him how it was going, and he told me 'It's fine: I haven't checked it in years.'" While staying out of the doctor's office can save money in the short term, it can end up being very expensive. "A $4 per month prescription can prevent strokes and heart attacks," Stork notes. But patients who allow their medication to lapse, often end facing costly -- and dangerous -- health crises. According to Stork, health care is, ultimately, an investment: "Taking care of yourself can pay dividends many time over. You save money from not having a heart attack or a stroke. For that matter, there's a definite value in having a better quality of life." Financial woes can easily translate into diet problems. When money and time are stretched tight, many people opt for low-cost, easy-to-prepare processed foods that are full of fat, sodium and sugar. But Stork argues that these quick dishes may not even be as cost effective as they seem: "There are many nutrient-rich foods that are also affordable," he points out. "For example, I just bought a two-pound bag of black beans for $2. They're loaded with protein, antioxidants and fiber, and will make a bunch of meals." Seen through this lens, fast food isn't much of a bargain. While a Big Mac meal or bucket of fried chicken may seem like a good deal, it adds up. "Feeding a family of four at McDonald's or Burger King can cost as much as $30," Stork notes. "For less money, you can make healthy, cheap meals at home." What's more, people who make their own food tend to be more careful about what they eat: "If you're making a sandwich at home, you'll almost always save money and will make better choices than you would if you were eating out." Money problems can also have a direct effect on health. It's an issue that can be traced back to evolution, Stork notes: "When they're exposed to danger, our bodies are designed to either go for fight or flight. If you experience stress, your body conserves every function except for the ability to fight or run." While we rarely face bears, tigers, and other fight-or-flight dangers anymore, Stork notes, we often deal with stress. "We live in a high-stress society. We have too much info, too many responsibilities." Instead of fighting these stresses or running away from them, Stork notes, most people stay in their chairs and try to ignore their body's response to stress. Denied their expected exercise, Stork notes, "Our bodies respond by storing fat. This, in turn, hurts our ability to fight off infection. At the same time, he notes, "we're secreting cortisol, a chronic stress hormone." In small amounts, this hormone is helpful, but in excess, it starts to have negative effects: "Too much of it affects our blood pressure and glucose absorption. It can make us gain weight and can hurt our immune response." But this doesn't mean that we have to be slaves to our stress responses. Stork points out "While you can't always dictate what happens to you, but you can affect how you respond." The answer lies in finding effective ways to reduce and relieve stress. Stork suggests going for a walk or watching YouTube videos for a bit. Alternately, he notes, controlled breathing can help you calm down: "I tell my patients to take a deep breath, count to 10 and release the breath. Do this 10 times." Generally speaking, however, real and lasting stress reduction requires lifestyle changes. Stork notes that staying active and getting a pet can both help lower stress. The most effective lifestyle change, however, may be simply getting enough sleep. Stork suggests taking your computer and television out of the bedroom in order to minimize distracting stimuli. Also, he points out, there's one great way to clear your mind: "One thing I tell everyone is to go through your list of 'to-dos' before you go to bed so you're not lying awake and thinking of them." Another great technique for reducing stress, Stork notes, is doing something for somebody else: "Studies have shown that helping other people can reduce stress levels and make you feel good." And, with everyone working harder to make do with less, it shouldn't be too hard to find someone who needs a little help.